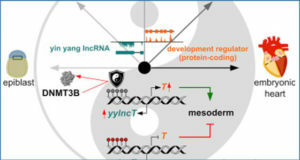 It has been recently suggested that transposable elements (TEs) are re-used as functional elements of long non-coding RNAs (lncRNAs). 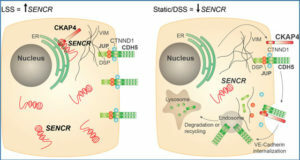 This is supported by some examples such as the human endogenous retrovirus subfamily H (HERVH) elements contained within lncRNAs and expressed specifically in human embryonic stem cells (hESCs), as required to maintain hESC identity. 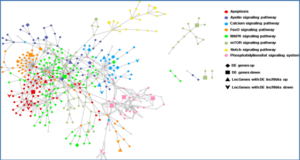 There are at least two unanswered questions about all lncRNAs. 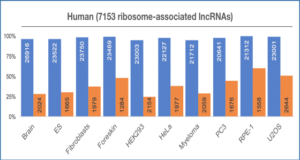 How many TEs are re-used within lncRNAs? Are there any other TEs that affect tissue specificity of lncRNA expression? 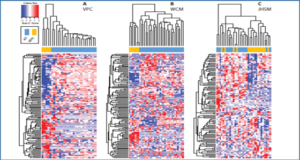 To answer these questions, Waseda University researchers comprehensively identified TEs that are significantly related to tissue-specific expression levels of lncRNAs. 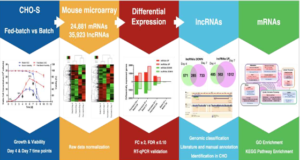 They downloaded lncRNA expression data corresponding to normal human tissue from the Expression Atlas and transformed the data into tissue specificity estimates. Then, Fisher’s exact tests were performed to verify whether the presence or absence of TE-derived sequences influences the tissue specificity of lncRNA expression. Many TE-tissue pairs associated with tissue-specific expression of lncRNAs were detected, indicating that multiple TE families can be re-used as functional domains or regulatory sequences of lncRNAs. In particular, the researchers found that the antisense promoter region of L1PA2, a LINE-1 subfamily, appears to act as a promoter for lncRNAs with placenta-specific expression. (a) First, expression levels are converted into tissue specificity by ROKU. (b) Then, the results for each tissue were aggregated separately for long non-coding RNAs (lncRNA) containing a specific transposable element (TE; shown as TE-lncRNA) and for lncRNA not containing that specific TE (shown as dTE-lncRNA), and the significance of the difference between lncRNAs in these categories was determined using Fisher’s exact tests.